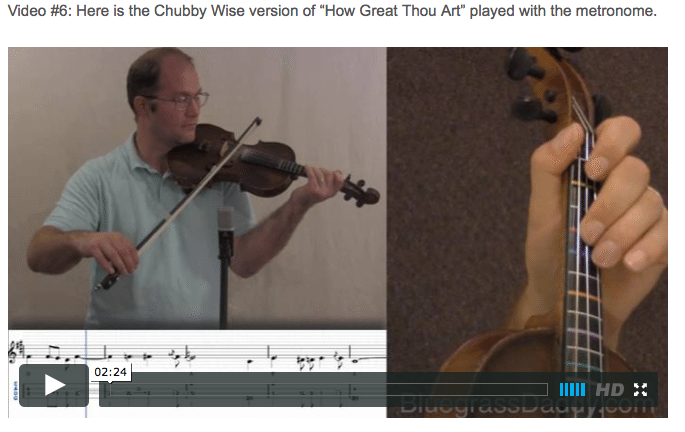 This is an online fiddle lesson for the Chubby Wise version of "How Great Thou Art." This lesson is by special request for my friend David. 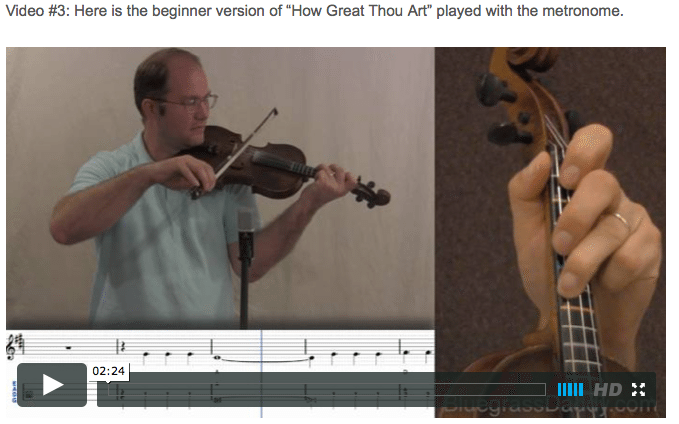 Video #1: Here is a video of me performing the gospel tune "How Great Thou Art." 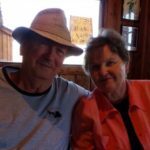 " look at this now buy generic viagra online australia How Great Thou Art" is a gospel hymn based on a Swedish poem written by Carl Gustav Boberg (1859–1940) in Sweden in 1885. The melody is a Swedish folk song. It was translated into English by British missionary Stuart K. Hine, who also added two original verses of his own composition. It was popularized by George Beverly Shea and Cliff Barrows during the Billy Graham crusades. "It was that time of year when everything seemed to be in its richest colouring; the birds were singing in trees and everywhere. It was very warm; a thunderstorm appeared on the horizon and soon thunder and lightning. We had to hurry to shelter. But the storm was soon over and the clear sky appeared. "When I came home I opened my window toward the sea. There evidently had been a funeral and the bells were playing the tune of 'When eternity's clock calling my saved soul to its Sabbath rest.' That evening, I wrote the song, 'O Store Gud.'" Boberg first published "O Store Gud" in the Mönsterås Tidningen (Mönsterås News) on 13 March 1886. The poem became matched to an old Swedish folk tune and sung in public for the first known occasion in a church in the Swedish province of Värmland in 1888. British Methodist missionary Stuart Wesley Keene Hine (born 25 July 1899 in Hammersmith Grove, London, England; died 14 March 1989) was dedicated to Jesus Christ in the Salvation Army by his parents. Hine first heard the Russian translation of the German version of "O Store Gud" while on an evangelistic mission to the Carpathian Mountains in Ukraine, near the Polish border, in 1931. Upon hearing it, Hine was inspired to create his English paraphrase known as “How Great Thou Art". Hine also started re-writing some of the verses --- and writing new verses (all in Russian) --- as events inspired him. Hines wrote the current third and fourth verses. 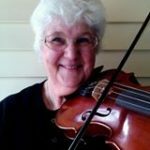 Posted in Beginner, Gospel, Intermediate	Tagged with: "How Great Thou Art" "John's Fiddle Lessons" "BluegrassDaddy" "gospel fiddle lessons" "bluegrass fiddle lessons" "celtic fiddle lessons" "old time fiddle lessons"
This topic contains 8 replies, has 7 voices, and was last updated by John Cockman 2 years ago. “How Great Thou Art” by special request for DavidB. 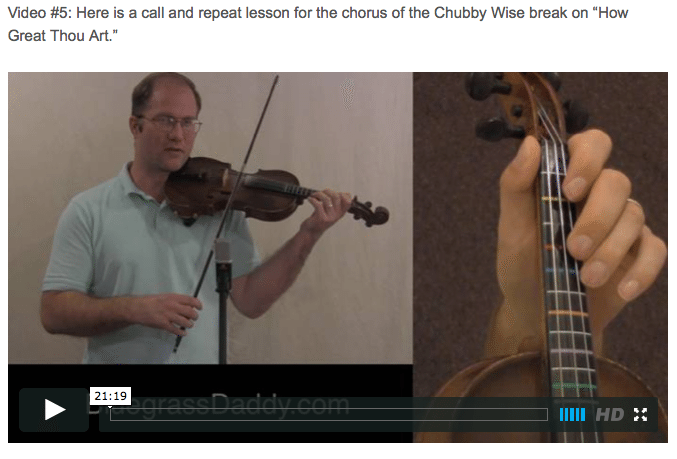 This lesson has both a beginner version and the Chubby Wise break. Thanks John, I really enjoyed How Great Thou Art. It is one of my all time favorites. 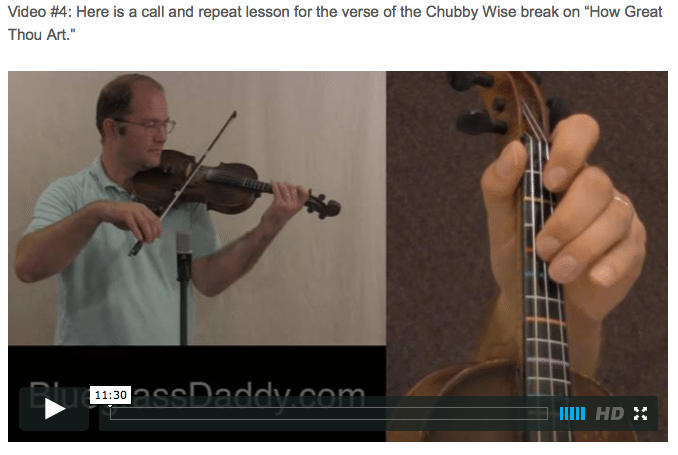 I Liked Chubby Wise version too but the beginner version is the one that reminds me of church. 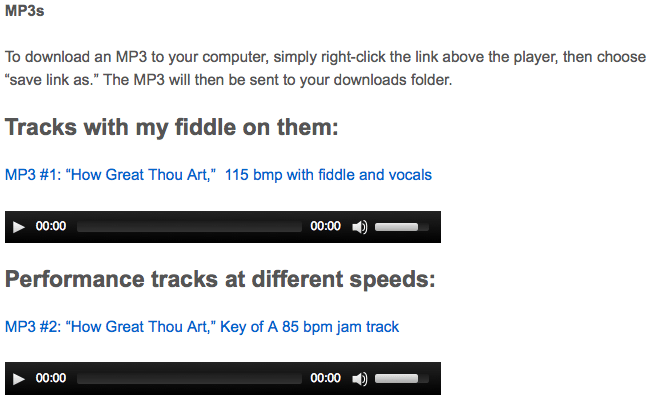 It is the hymns that I really want to learn. We used to have a trio, from my church, that went around to nursing homes, I hope to get that started again! 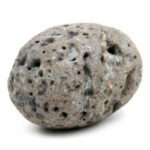 Rock that sounds fantastic. I hope you are able to do that. I can never thank you enough. This is so awesome and way beyond my expectations. 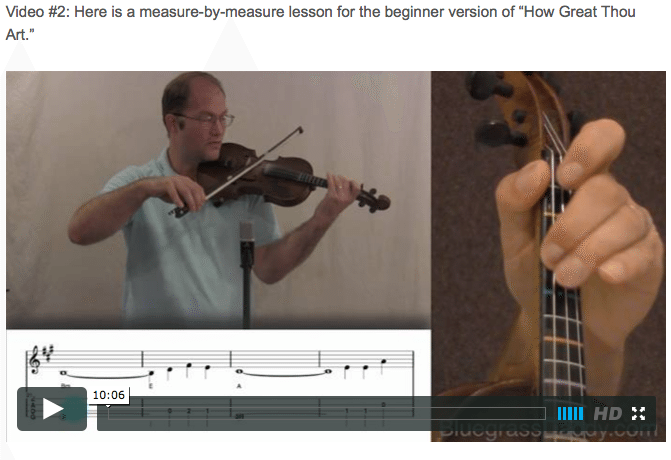 I thought I was doing great with the tab until you finished the lesson. I really love both versions. I also love your fiddle. I have a 65 year old brother who is mentally retarded, this is one of his favorite songs, he sings this all the time for us, cant wait to play it for him. Thanks again for all you do! What a great lesson and one of my favorite hymns! I looked up Chubby Wise playing this and thought it cute how he covers his ending with a pop of the string. Thank you for this…can’t wait to get started on the easier form of it! Just started HOW GREAT THOU ART tonight. Has been a favorite hymn for decades and now I’m taking my first crack at it. After listening to Mr. Wise, I want to learn is version too. This will go over well in the local nursing homes too. Sure appreciate all that you’re doing to promote our kinds of music. Keep up the splendid work! That was so beautiful John, thank you ! Thank you! Ralph, hope it goes well for you!